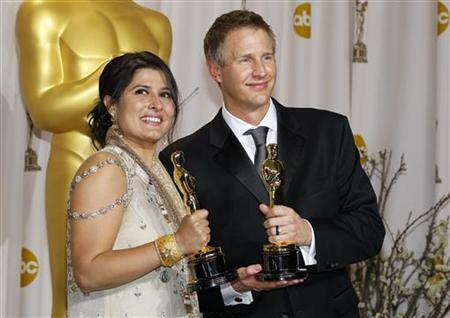 Today is another day full of joys for the People of Pakistan.The moment I got a tweet update that "Pakistani Filmmaker Sharmeen Obaid Chinoy wins an Oscar Award for Documentary Saving Face" It just bought happiness for me.Sharmeen Chinoy has made the whole Pakistani community proud. Saving Face - Sharmeen Obaid Chinoy, Oscar Winner 2012 from Natasha Jahangir on Vimeo. The documentary which will soon be aired on HBO in March 2012 is a chronicle of a British Pakistani plastic surgeon, aiding victims of acid attacks in Pakistan. Directed by Sharmeen Obaid. Chinoy was acquiring undergraduate degree in political sciences at Smith College when the tragic attacks of 9/11 occurred. At that time she as writing for some newspapers but later on switched to filming to provide more evocative account of realities. Here is the video of Geo News Report regarding Sharmeen Chinoy Obaid winning oscar Award.